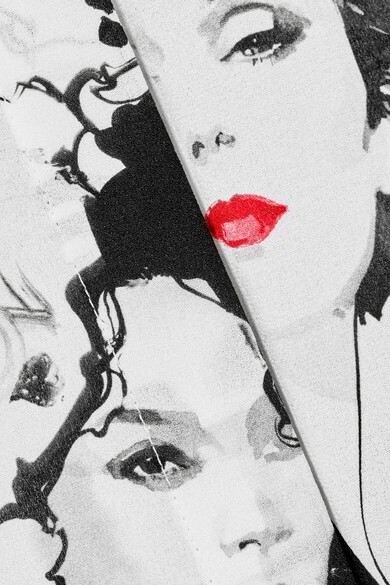 Michael Kors has wanted to collaborate with fashion illustrator David Downton for ages - the designer is a big fan and has even sat for a portrait with the artist himself. 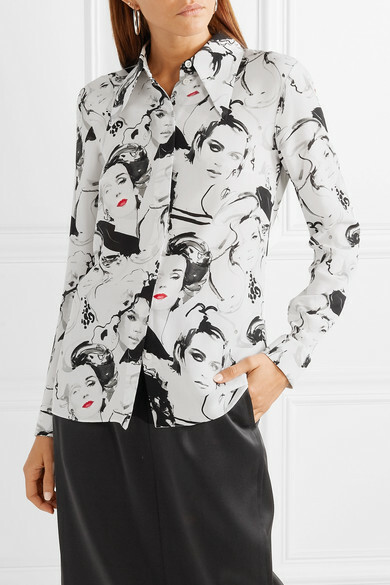 This blouse has been made in Italy from silk crepe de chine printed with sketches of fictional women who represent the label's diverse customer base. 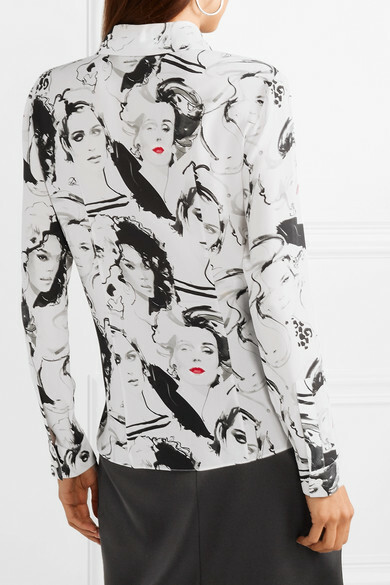 We like how one of the characters, named Brooke, is drawn with a bold red lip. Shown here with: Joseph Skirt, A.W.A.K.E. 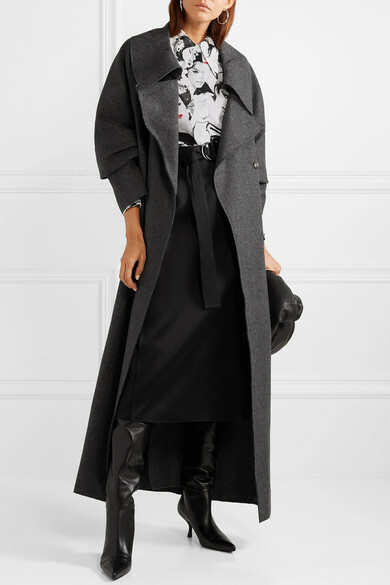 Coat, The Row Shoulder bag, The Row Boots, Jennifer Fisher Earrings.